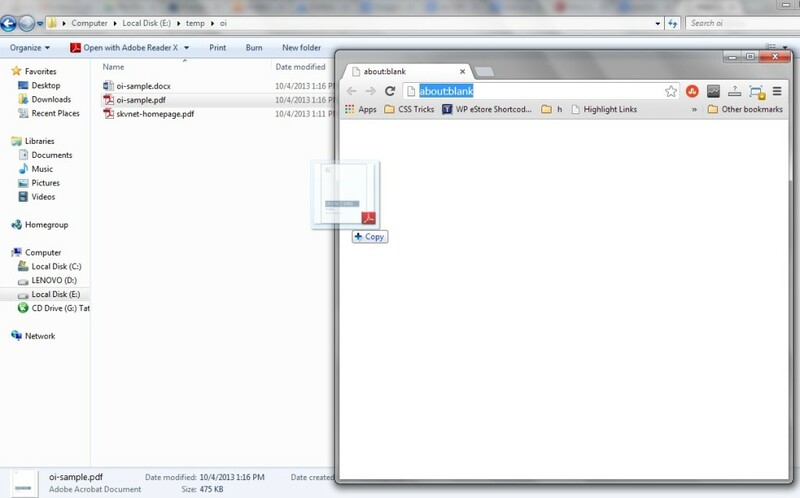 Splitting PDF files for extracting certain pages can be easily done with the help of Google Chrome Web browser!. You don’t need to have any other application installed or internet connection required to carryout split. 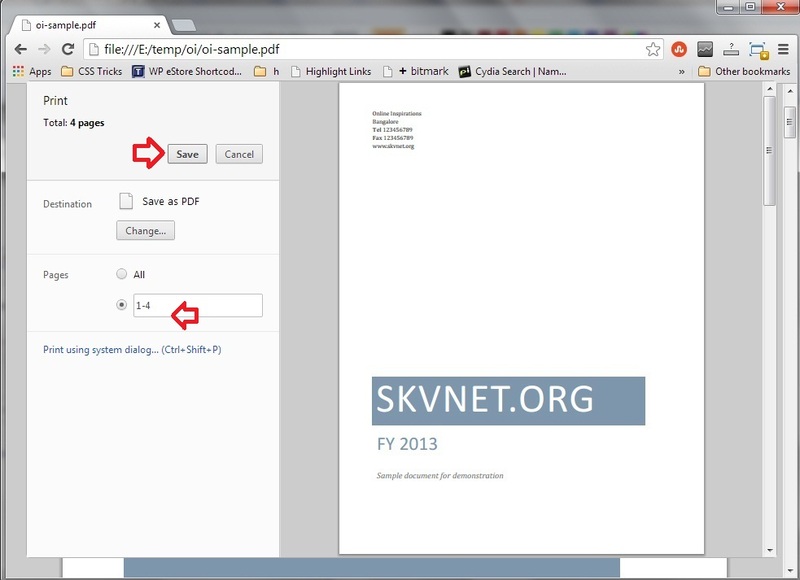 Step 1: Open the PDF document that needs to be split into different PDF files with Google Chrome, by drag and drop into a new Chrome window. 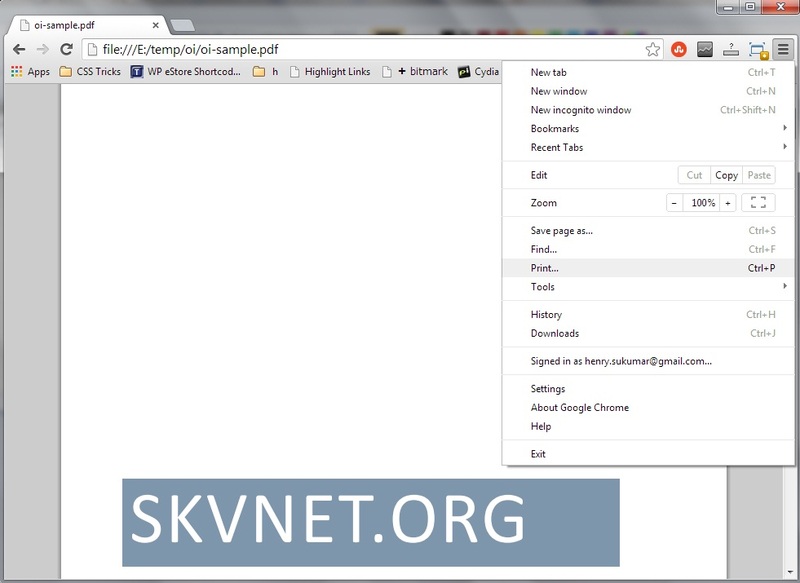 Step 2: Select print menu item from Chrome menu, on right top below the close button. 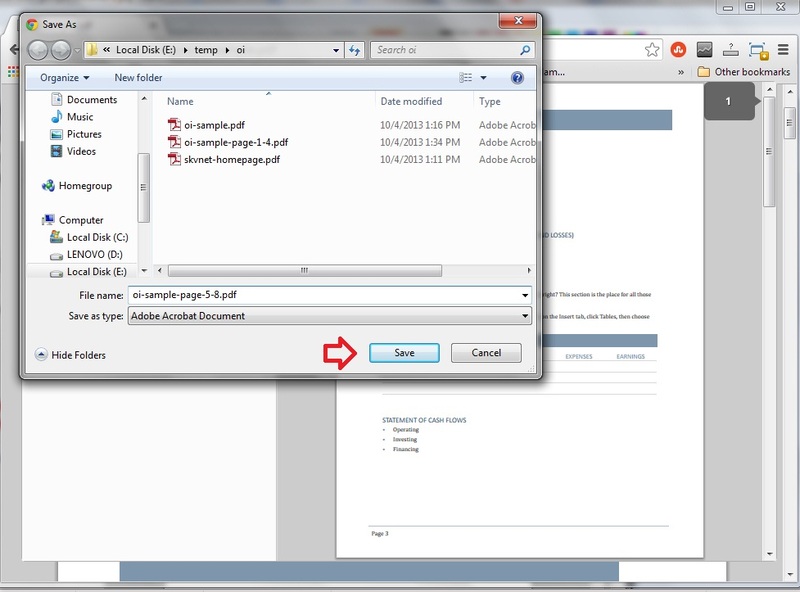 Step 3: From the print dialogue, change the destination to ‘Save as PDF’ option. Step 4: In the pages section of the print dialogue, mention the range of pages that need to be part of the first split of the document. Suppose you need to split 8 page document to two PDF files from page 1 to page 4 and another one with page 5 to page 8, then mention ‘1-4’ in the pages section of the print dialogue text input. and click ‘Save’. 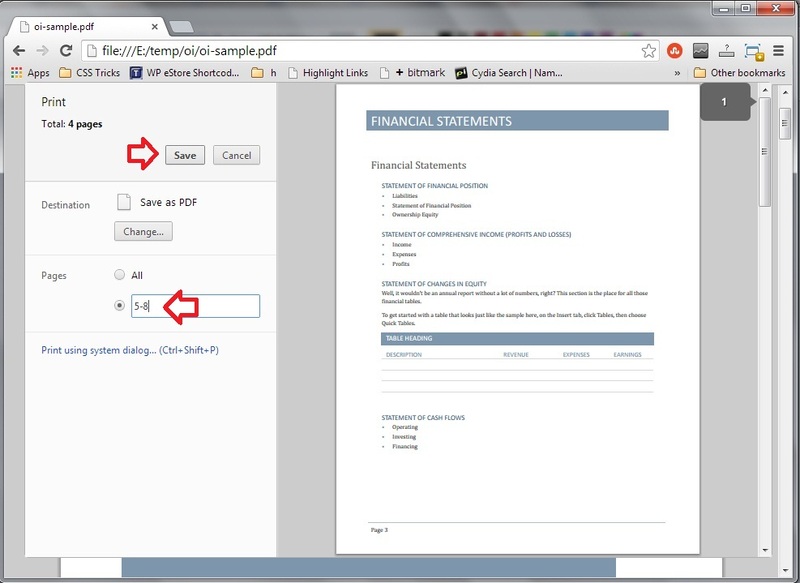 Step 6: Repeat the Step 2 to Step 4 and select pages in the print dialogue as 5-8. Step 7: Save the second sub document split with page-5-8 name. Step 8: Open the two split PDF documents!. 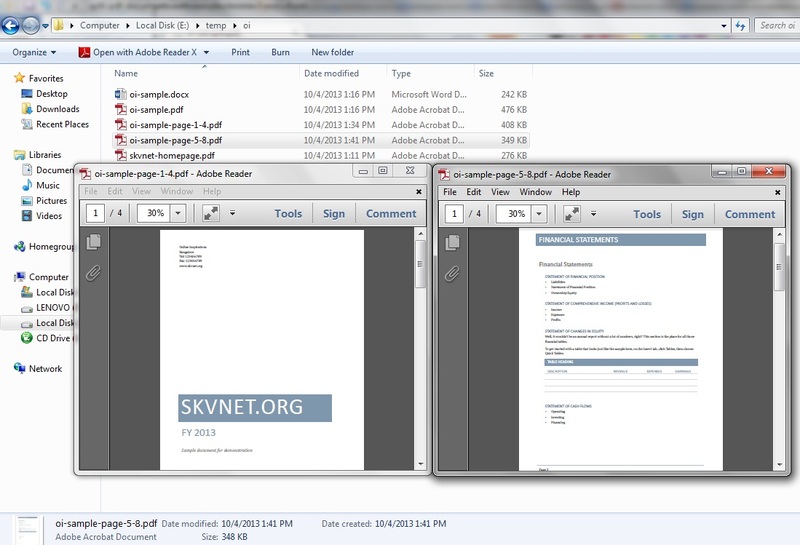 You could observe that the PDF documents are split pages of the main document.